Sensograph provides heavy-duty, high-performance weighing and packaging systems designed for handling all the free flowing and granular items such as Namkeens , Farsans, chips , frymes, groceries, and components such as bolts, nuts, plastic parts, rivets, screws and washers. Being the own manufacturer, we can cater to customer according to their requirements.Due to In house Development we can also cater to requirement of Frozen foods, and other cold storage stuffs. Frozen Foods: Chopped: carrot, okra, green peas, pronze, shrimps etc. Sensograph’s range of hard-working multihead weighers represents outstanding value, with accuracy and speed that outperform most ‘top-of-the-range’ weighing machine models. Materials Free Flowing Grocery Items. *Depending upon product and grammage. 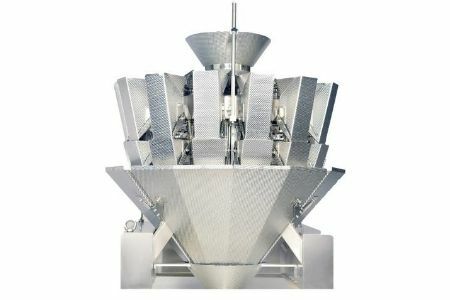 The following is the function of Multihead weigher if one has to pack 250g of material. Among the number of head, the Program catches those heads whose sum will be the set grammage in total. Fast calculation time, delivering more packs per minute. Self-tuning vibration system to optimise product flow. Simple, tool-free cleaning that cuts weighing machine downtime. Quicker, simpler training, with an easy-to-learn operator interface.